WOW! This immaculate, move in ready colonial is now available for immediate occupancy at closing! Exterior features include an expansive 1/3 acre corner lot with stamped concrete back patio, three car attached garage, newer roof and so much more. The spacious interior is barely lived in and it shows. Features include very spacious room sizes, hard wood flooring, newer carpet, gas fireplace in the living room, master bath with walk in closet and jetted tub, oak cabinets in the kitchen with all appliances included and more. The basement features a sump pump with a battery backup, newer furnace, and very high ceilings for easy finishing. 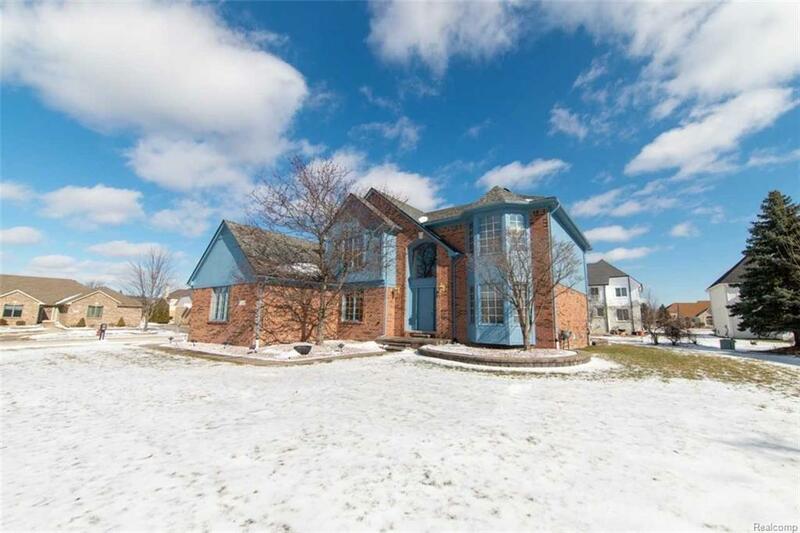 Conveniently located near parks, Award Winning Utica Schools, and many more amenities, this home is an absolute must see!